Every time I call for service or a problem they have always been considerate, fast and reliable. This time was no different. I highly recommend Schaffer Construction to anyone. They have always done a great job, just fabulous! They do what they say they will do when they say they will do it, clean, and you would never know someone was there. They are also an aging-in-place specialist. They completed a kitchen remodel for my mother and while it was not aging-in-place, they were great with taking care of her during the entire process. I just can’t say enough good things about them, great customer service! Honor and integrity. Grab bars in 3 bathrooms, extra stair rail on main stairs, extra stair rail in the basement, installed a pole in the bedroom for support, and repaired drywall. Excellent work. Very professional. Arrived on time and completed before leaving. No complaints. 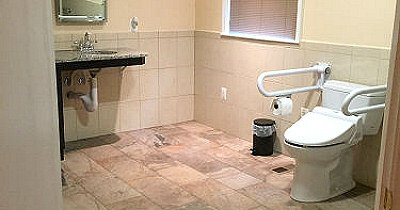 Schaffer Construction, LLC changed our standard shower to a curbless shower and installed PT rails by the toilets. Tony came to the house and explained the process needed to modify the bathroom. He gave a estimate and told us who would be working with him and how long the process would take and when they would begin. They cleaned up the work area every day and were unobtrusive while working. I have recommended these service to others! Tony Schaffer was outstanding. He spent time talking to my 90 year old Mother about the safety issues in her home and made recommendations on how to improve her day to day living. All the work Tony performed was excellent but I was most impressed with Tony as a compassionate, caring human being. Tony and Becky Schaffer were a godsend! Becky was kind and helpful. Tony came right out and did the job perfectly in a short window of time. I was able to bring mom home without any problems. 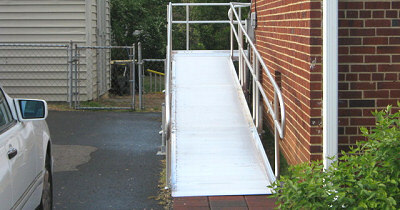 Installed a ramp in our garage, put grab-bars in 2 bathrooms, made recommendations to make home handicapped accessible. Excellent suggestions. Tony & Becky personable & helpful. Estimate was made punctually. Work done in a timely manner & completed when we needed to have it done. We are very satisfied with the work done. 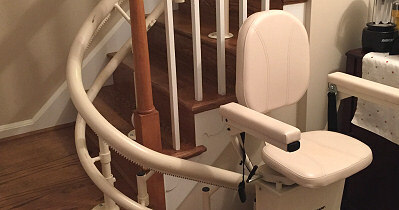 Tony Schaffer provided outstanding consultant services to make my home handicap friendly and safe for a senior with limited capabilities. IE: Grab Bars and Power Chair Ramp. Recognizing the immediate need, the work was scheduled, and completed professionally, in a very timely manner. I would recommend Schaffer Construction without question for any task they take on for quality and understanding of requirements. Hope the commentary will be sufficient to tell the story of an outstanding organization. Tony came exactly at 5 p.m. about a day after I called. He accepted my instructions about placement of the two grab bars and I am extremely happy.. His work was impeccable, with no debris left behind, and the bars are very secure. He also advised me on a possible leak in the corner of the ceiling above the tub. I needed general maintenance done on my chair. I called and was given Schaffer Construction’s name to contact. I spoke to Tony Schaffer who came out the same day I called. He arrived on time and was very informative and completed his maintenance quickly. He was very informative and cooperative. I recommend him highly. Tony and his crew of specialists did a superb job on my kitchen/family room renovations. They were always prompt, courteous, neat, and helpful. When options or alternatives existed, Tony explained the costs/benefits of each alternative and offered helpful insights into the renovation process. In the end, we were enormously pleased with Tony’s work. I recommend Schaffer Construction without reservation!